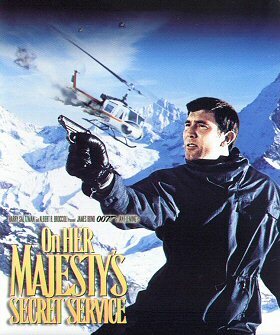 The sixth James Bond film, 'On Her Majesty's Secret Service', celebrates its 45th anniversary today. Back on December 18th 1969, the world premiere was held in London's Leicester Square. The sole outing of Australian model turned actor George Lazenby, 'O.H.M.S.S.' is often unfairly touted as a box-office failure, despite having the highest weekend debut of 1969 in the US, and was the highest-grossing film of the year in the UK. 'O.H.M.S.S.' is now often considered one of the best James Bond fans among long-time fans. It was voted the #4 Bond adventure of all time in 2012 in the MI6 poll, which was biggest independent James Bond fan survey ever.